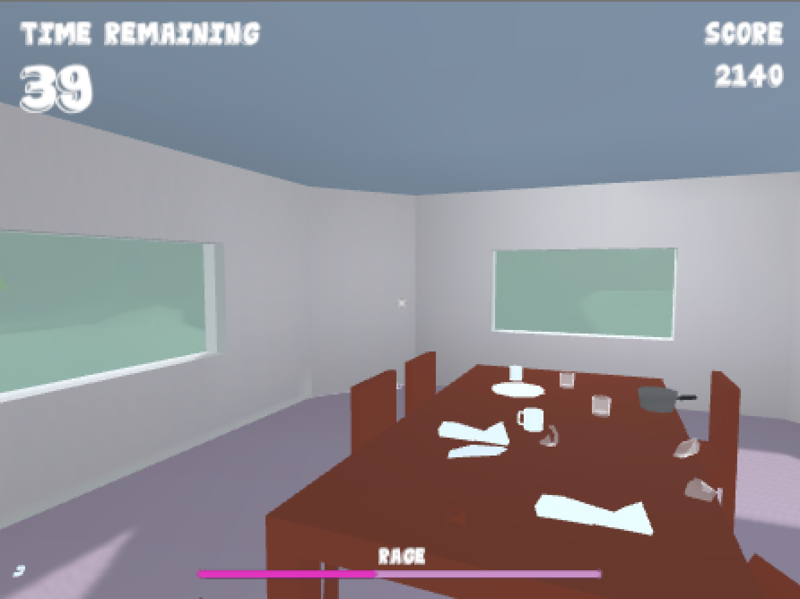 As my entry for the TV Game jam, this Unity game is based on the recent TV show "Tidying Up with Marie Kondo". I wanted to take the concept of a show in an alternative direction, and create something that involved gaining points by trashing a house, rather than by tidying it. Hey Deathnchaos. Thanks so much for playing and reviewing my game! I never expected anybody to do that, so I appreciate the effort and for linking me to it. Your confusion about the music was completely justified - I ran out of time and had no other choice for music at the time. I’ll definitley be making some updates to make it more exciting and appropriate to the gameplay. Thanks for your positive comments 🙂 Cheers!